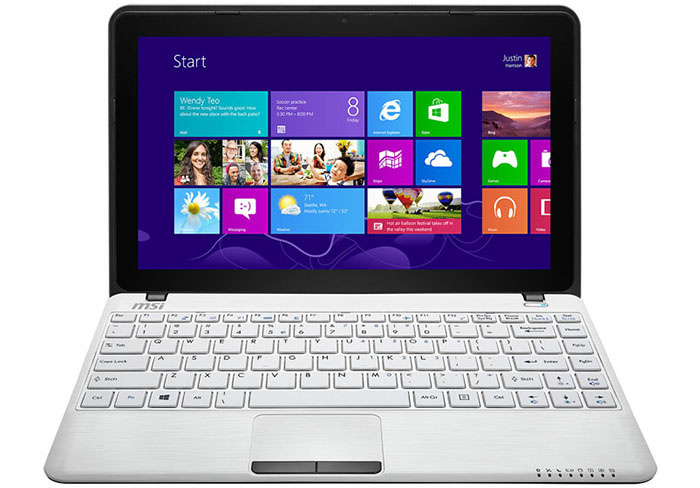 The Taiwanese MSI has presented two new notebooks – the S12 and the S12T – that are based on AMD Kabini processors. The notebooks share a lot of their tech specs but all in all there are two versions with the first one offering an AMD A4-5000 processor with four Jaguar cores at 1.5 GHz and integrated Radeon HD 8330 graphics with 128 stream processors at 500 MHz; the second one comes with an AMD E1-2100 processor with two Jaguar cores at 1 GHz and Radeon HD 8210 graphics with 128 stream processors at 300 MHz. Both notebooks come with 11.6-inch displays at 1366 x 768 pixels but the S12T has a sensor display that supports up to 10 simultaneous touches. The notebooks also have 4 GB or 8 GB of RAM, a 500 GB hard drive and an optional mSATA SSD that comes separately. As expected the S12 and S12T have numerous connectivity options – the notebooks have USB 2.0 and USB 3.0 ports, HDMI and VGA outputs and a web camera. The battery provided should be capable of powering the new MSI products for up to 4-5 hours. The pricing of the MSI S12 and S12T notebooks is still unknown.